The political changes and instability in the global scenario, especially that of Eastern Europe and the Middle East, led to inevitable consequences in terms of social and demographic. Scenarios of war, poverty and famine push every day large numbers of people to leave their homeland in the hope of finding better living conditions. Italy, the main entry point of the European continent, recorded with Greece the largest influx of immigrants in recent years. Most of them come from North Africa, the Middle East and Eastern Europe (Figure 1). Although many migrants look to the beautiful country exclusively as a transit point for northern Europe, between 1995 and 2012, Italy recorded an increase of migrants on their territory, with the percentage varying from 1.8 % to 8% of the total Italian population . These figures do not include irregular migrants, are about 20% of the total, who do not have a valid residence permit and are not registered in official statistics, therefore most likely underestimate the total population of migrants. Because of the socio-economic Italian, they are the regions of the north and center to be most affected by migration, particularly the Emilia Romagna and Lombardy. 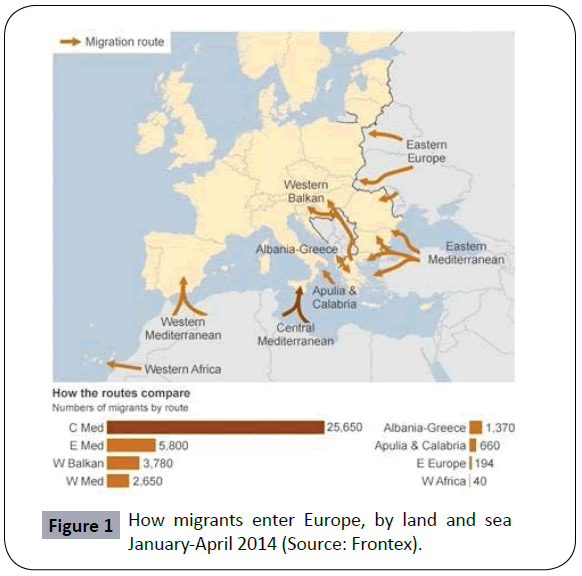 Figure 1: How migrants enter Europe, by land and sea January-April 2014 (Source: Frontex). All this involves a health emergency, because the immigrants, because of ethnic and socio-cultural factors, including, access to treatment and prevention, the living conditions and the language barrier, have different health needs than native citizens. Furthermore, migration flows have altered the epidemiology of hepatitis B virus (HBV) and C (HCV) in Italy. The last decade has indeed found a significant reduction in the general Italian population of those infected with HBV, due to mandatory vaccination introduced in 1991 and the change in lifestyle. On the other hand the HBV is still the most common cause of liver disease in patients from endemic areas, such as sub-Saharan Africa and Southeast Asia. Recent studies indicate that the prevalence of hepatitis B virus in Italy is <1% in the general population, while the immigrants is estimated at 11.7% . The problem of HCV is much more vast and difficult to control, as there is today a specific vaccine against the virus. Despite the preventive measures implemented that resulted in a significant reduction of its distribution, the HCV is the leading cause of liver cirrhosis in Italy. A recent retrospective analysis of a cohort of immigrants in Sicily there was a lower percentage of HCV infection compared to HBV infection . However, it assumes importance genotyping on the immigrant population. HCV has a large genomic variability characterized by 6 major genotypes with different geographical distribution, so the migration can contribute to the spread of genotypes not predominantly present in Italy. This figure should not be underestimated for the important implications in the treatment of patients with HCV infection. In conclusion viral hepatitis are an increasing problem for public health as liver cirrhosis and hepatocellular carcinoma HCV and HBV are responsible annually for ten thousand a million deaths. In this context, the migration of people from endemic countries is changing the scenario epidemiology of the disease. This public health emergency should therefore be fought by preventing the increase in the spread of infection through screening of individuals at risk, the promotion of social integration and easier access to the facilities of the National Health System. El-Hamad I, Pezzoli MC, Chiari E, Scarcella C, Vassallo F (2015)Point-of-care screening, prevalence, and risk factors for hepatitis B infection among 3,728 mainly undocumented migrants from non-EU countries in northern Italy. J Travel Med22:78-86. 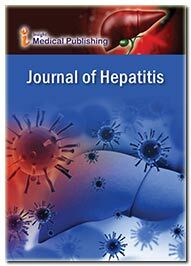 Scotto G, Martinelli D, Di Tullio R, Fazio V (2010) Epidemiological and clinical features of hepatitis B virus genotypes among immigrants in Southern Italy. HepatRes Treat. Affronti M, Affronti A, Soresi M, Gainnitrapani L, Campagna E(2014) Distribution of liver disease in a cohort of immigrants in Sicily: analysis of day-hospital admissions in a migration medicine unit. Infez Med 22: 200-205.